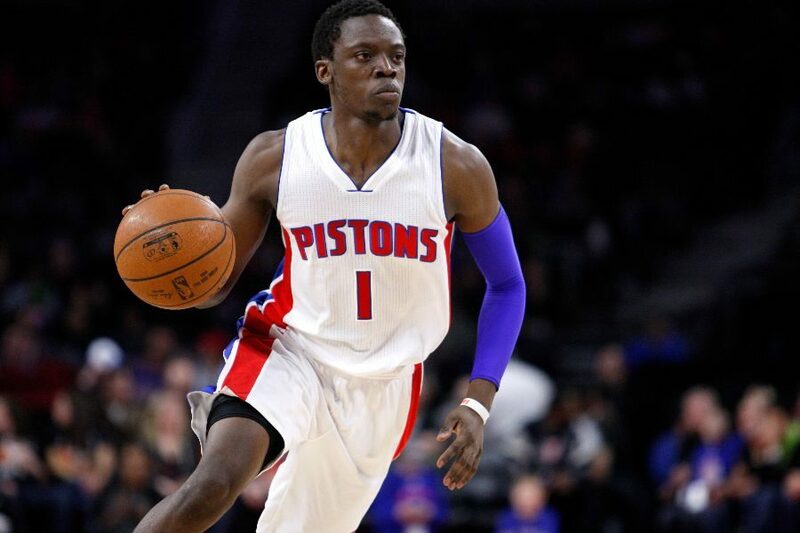 Home NBA What Can The Pistons Do About Reggie Jackson? 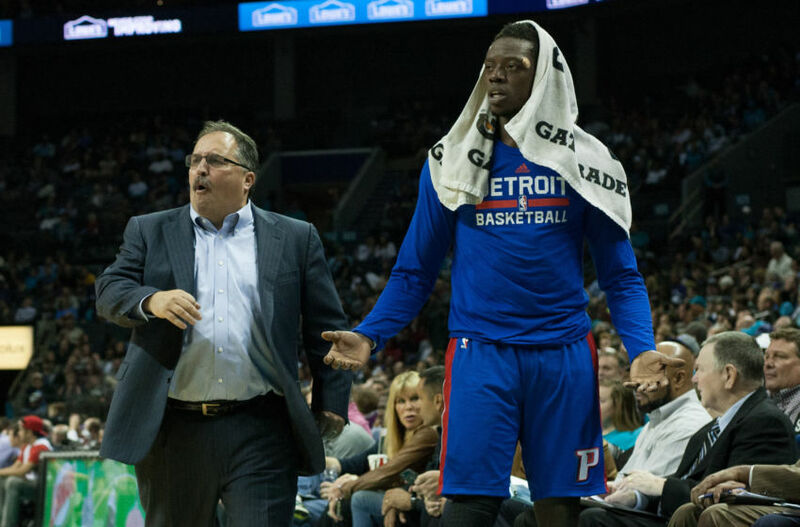 What Can The Pistons Do About Reggie Jackson? With the Detroit Pistons yearning to make a late push to the playoffs, the young team led by Stan Van Gundy is left with a lot of options, and an abundance of questions as to what the next move is. 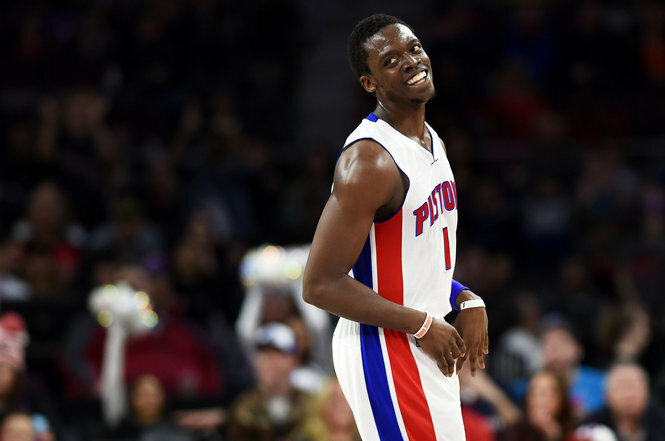 For the past two months, rumors have surrounded Detroit and Reggie Jackson’s future. At this point, nobody is really quite sure what route the Pistons are headed. Despite Jackson having a disappointing ’16-’17 season, Van Gundy still has faith in his point guard, unlike a large portion fan base. Recently, support for Jackson has seemed to seep out of Pistons’ fans and some people in management. A trade has been looming on the horizon and some are begging that Detroit pulls the plug and trades away Jackson. However, the answer to the Pistons’ struggles may not be to trade Jackson, because the situation is more complicated than outsiders might think. There is a consensus in not only Detroit, but around the league, that Reggie Jackson has value as far as a trade goes. Granted, his value has diminished from the likes of Eric Bledsoe, Jrue Holiday, and Goran Dragic. But there is still some trade value remaining in Jackson. However, the Pistons find themselves in the odd position of him being worse than all three of those point guards but yet still better than Ricky Rubio, D.J. Augustin, and Darren Collison. It’s a tricky position where Detroit can’t help but lose in. If they were to trade Jackson away for, say as an example, D.J. Augustin, it would be a downgrade at their starting point guard position and would in some parts lighten the depth of their starting five as a whole. On top of that, if the goal of the trade was to garner more depth off the bench, then the Pistons will still lose. Sure, the Magic and other teams have players that the Pistons might be interested in but shaking up the lineup isn’t exactly something that Van Gundy is comfortable with and for good reasons. Back in Orlando, Van Gundy had his fair share of trades go awry. For starters, he traded for Tyronn Lue in the ’08-’09 season and Lue went on to be a massive disappointment in that season. Lue only played in 14 games and had an abysmal stat line in which he had a VORP of -.1, a BPM of -3.6, and a high usage percentage of 16.8% considering the fact that he only played 9.2 MPG. Additionally, he only averaged 3.0 PPG, 1.0 APG, and 0.8 RPG. Needless to say, that was disappointment number one for Stan Van Gundy. Yet, only fourteen days after they made that trade, the Magic then went out and traded for Rafer Alston who played decently but got traded from Orlando in their next deal that we’ll get to. Marking that down as disappointment number two for Van Gundy. The following year, the Magic went out and traded for Vince Carter and Ryan Anderson. Carter, to begin with, was not exactly the best fit in Orlando. His lack of defense really hurt the Magic in late game situations and put a lot of pressure on Matt Barnes to do tons of work defensively. From there on out, trades involved a heavily underdeveloped Ryan Anderson, a heavily overpaid Jason Richardson, and among the most infamous being Gilbert Arenas who they were still paying up until last year. Point being, Van Gundy has a right to feel tentative towards management or the fan base wanting him to make a trade in the middle of the year considering just how poorly they went last time around in Orlando. Therefore, it’s right to think twice before trading Jackson considering the fact that his value is almost completely unknown, won’t help the starting squad too much, and could perhaps blow up right in their face. However, even though Van Gundy might be tentative towards making a trade, management might force his hand and make a trade the only viable option. To be fair, they’re not exactly wrong in thinking that a trade should be on their mind. Players such as Eric Bledsoe, Jrue Holiday, and Goran Dragic are all outplaying Jackson by a wide margin. Jackson has a lower FG% at a pitiful .428%. In addition to that, Jackson also has the worst EFG% of the four guards mentioned, shooting in at .479%. Then, despite being seen as an improving passer last season, Jackson’s assist numbers don’t stand out from the pack. Averaging only 5.6 APG and only forcing up an AST% of just 31.3% is yet another reason why Jackson’s future is in jeopardy in Detroit. Even the analytics don’t seem to support Jackson all that much. He only has a PER of 15.7, which is far below Dragic, Bledsoe, and Holiday. Additionally, he has the lowest TS% of the four players with only .523%. On top of that, in spite of the fact that he’s still the starting point guard, he has an atrocious OWS of just 0.8 and a mere DWS of 0.9. Lastly, by examining Jackson’s analytics it’s clear that his impact on the court is at times either not felt or downright hurts the team. He has an astonishingly terrible BPM of -0.7, a VORP of 0.3, an ORtg of 105, and finally a DRtg of 110. Statistically speaking, Jackson might very well be the reason the Pistons often find themselves in bad positions in the latter parts of games. To be honest, he might be why Detroit on a consistent basis never seems to recover from those positions that he puts them into. More often than not, Jackson hogs the ball for the game’s opening minutes and then things just go downhill from there. Granted, he got better before the All-Star break but that wasn’t by virtue of Jackson changing up his game all that much. More or less, it was because Van Gundy’s playbook has been seeing a lot of changes in the past two weeks. Of course, this leads to the inevitable question that Detroit has been circling around for the past month. What Should The Pistons Do Now? Yes, Stan Van Gundy doesn’t want to budge on a trade according to numerous reports and interviews. Considering the aforementioned, it’s hard to blame him for being skeptical. However, if the discussion is about Reggie Jackson, the tone of dialogue needs to change. The Jackson that we’re seeing this year is far from the one that we saw last year. No longer is it about driving to the basket and kicking it out to the three point line. As far as Jackson goes, it’s more or less about taking the shots when they come your way and forgetting about the rest. The excuse for a “bad season” simply doesn’t hold up and it’s time to recognize that. Statistically speaking, Jackson has become a serious detriment to the Pistons and there is no going around that. Thus, the tone of dialogue with him must change. The trade deadline is in just two days and the Pistons ought to be urgent about trading Jackson. Not to the same sense that the Kings were about trading DeMarcus Cousins where they should take whatever is offered, but a sense of urgency is dire at this point in time. Simply put, the Pistons shouldn’t settle on an offer for Ricky Rubio or D.J. Augustin. Jackson has value in a trade for at least one team out there, but accepting a trade for either of those two players would be blatantly absurd. However, a massive problem with trading away Jackson is his substantial contract. Keep in mind, his contract is worth $80 million dollars over the course of five years. So with that being said, the Pistons find themselves in a bad position but one that they shouldn’t be expected to trade their way out of. Even as underwhelming as Jackson has been, the remaining half of their schedule isn’t entirely difficult and pretty much the majority of the team seems to be keen on protecting him. Plus, he’s still trying to get healthier as every day passes. So even though a trade is a viable option that the Pistons should at the very least look into, don’t hold your breath on a trade involving Jackson, because it more than likely isn’t around the corner.